A few weeks ago “The Ladies” had two of their friends over. 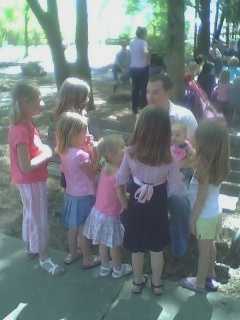 If you’re counting, that’s a total of SEVEN little girls! We took them out for ice cream, went to the park, and finally wrapped up the day at our house. We just love having a big family! It’s not for everyone, but it sure is for us! Here’s to a truckload of ladies and a great wife/mommy to raise them with!